City dog laws in Naperville, Illinois help maintain peace and order in the community. The laws and ordinances provide acceptable guidelines to keeping the dog, owners and others safe from harm by not allowing the pet to roam free throughout the neighborhood. This is important because irresponsible owners can be found legally liable if their dog bites an individual, another pet or property. Rosenfeld Injury Lawyers LLC represents children and adults involved in Naperville dog bite attacks. The loving commitment of taking care of a dog can bring much joy to families and individuals. This is because dogs are considered a loyal friend that provides unconditional love. However, any pet in the hands of a neglectful owner can easily develop unacceptable behavior that can cause harm to others. When an individual is injured through a dog attack, the responsibility is usually attributed to the pet owner who might be negligent in not using a dog leash or not providing adequate fencing. Statistics released by the Centers for Disease Control and Prevention (CDC) show how over 4.5 million Americans are attacked by dogs every year, of which approximately 350,000 require treatment in the emergency room. Sadly, most of the victims are children suffering serious injuries to their face. 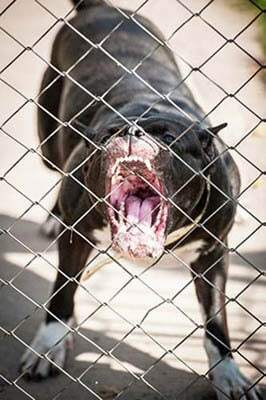 Animal Bites – All animals that bite an individual will be promptly delivered to a local licensed veterinarian or confined in a way as defined by the local Animal Control Act. (Section 10-4-10). The law offices of Rosenfeld Injury Lawyers LLC advise you to seek immediate medical attention if you have been bitten by a dog. Any lack of treatment can ultimately cause serious additional injuries, or lead to infection or death if the dog was diseased. Dog bites can cause excessive scarring, pain and discomfort, which are medical problems that are often very expensive to treat. It is essential to find the owner responsible for the control of the pet. This will help you build a liability case against the pet owner for their negligence and instigating the opportunity for their animal to attack others. Rosenfeld Injury Lawyers LLC at (888) 424-5757 can help you build the case for compensation by filing a Naperville dog bite claim or lawsuit against every potential responsible party. These parties might include animal keepers, property owners, landlords and parents of minor children in control of the pet.